As we get older, we inevitably face physical deterioration and the appearance of age-related health conditions. One of the biggest issues facing elderly people today is their lack of mobility and reduced balance. This poses a danger, as many falls are reported every year that place older people in the hospital. One way to minimise this danger is to invest in mobility aids and furniture for the home, specifically designed for older people. For many elderly people with joint pain, arthritis, mobility problems, and other musculoskeletal issues, just getting around the home can be a problem. We may not think about it often, but just the simple act of getting into and out of a chair can be a serious issue for older people. This can affect their quality of life negatively and cause them pain and discomfort. Roth Newton Reclining Chairs represent an improved quality of life for anyone in this situation. A lot of furniture like this is designed specifically for elderly people and those with debilitating, physical-health conditions. 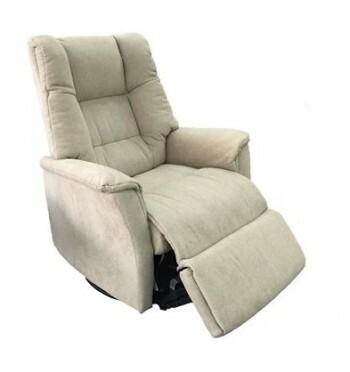 ● Customised: Companies who specialise in this type of reclining chairs offers a customisation service where the recliner can be made to suit an individual’s body weight, height, and shape. This means that the recliner itself will feel naturally comfortable for a single person and will offer them a level of comfort not present in regular furniture. ● Features and options: Many recliners of this nature will have different features. For example, for those who require it, additional handles can be installed on either side to make sitting down and getting up easier. Likewise, in order to offer extra aids to mobility, a footrest extension can be installed, so the effort of moving out of the chair is minimised, so as to reduce physical discomfort and effort. For a great many people, reduced mobility and other physical issues, can reduce their quality of life. At the very least, no one with these issues should have to suffer the indignity of being uncomfortable in their own home. Easy chairs and a wide range of recliner chairs offer people in this situation the opportunity to improve their quality of life at home. Reclining chairs come in a wide range of materials, colours, and styles to suit existing furniture. In fact, many such recliners also have matching lounge suites to make the transition easier. By taking advantage of a customised recliner, featuring multiple mobility aids, one can improve their quality of life and reduce the risk of falls and injury.